Regal Jewelers Inc. stands apart from the other stores in the greater Houston area. Quality fine jewelery at a reasonable price, with an artisan's touch. Regal Jewelers' service and merchandise is best in Texas. We off Same Day Service, and easy credit. Frank Lendvai, Proprietor Frank Lendvai, Proprietor of Regal Jewelers, is a Hungarian born, Swiss trained Master Watchmaker. He has been in the jewelry industry since 1964. He began his career in Hungary, and continued in Geneva, Switzerland, acquiring skills the old fashioned way by working and learning in classic European apprentice-style system. In 1971 he emigrated to the United Sates and soon opened his first business, a successful "mom and pop" store, in Cleveland Ohio. He continued his training at the Gemological Institute of America in the early 70's, where he learned about the technical laboratory skills to critically assess and differentiate gems and diamonds. In 1977 Frank moved to Texas and opened Regal Jewelers, Inc. Over the decades the business has continued to prosper despite the ups and downs of the economy. Regal Jewelers Inc. stands apart from the other fine jewelry stores in the greater Houston area. 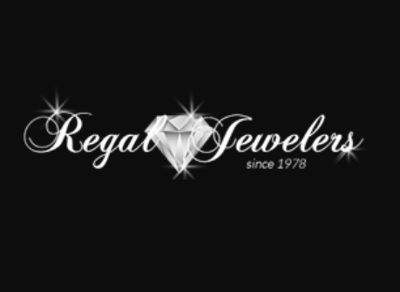 The primary reason for the success of Regal Jewelers, Inc. is that the owner is an actual handson jeweler; one who has with extensive knowledge of jewelry design, materials and processes, as well as a plethora of contacts within the industry who supply him with items not usually seen in typical stores. These trusted supplier contacts, because our long-term relationships, are part of our circle of value added services offered by Regal Jewelers. Regal Jewelers continues to be a unique store with a unique outlook. Our inventory includes fabulous gemstones set into well-executed designs, many made by us on-site, while others are handpicked by Frank Lendvai and his staff. These masterpieces of craftsmanship must first satisfy the eyes and the hand of the jeweler – and they alway do – before we present them to our demanding and sophisticated customers. Magnificent jewelry distinguished by design and creativity, we offer exclusive, custom creations in gold, platinum, silver and marriages of metals. The Woodlands, TX 77389 or online. Either way, you’re in capable hands.